You love your baked goods. From cinnamon rolls to cakes, you can’t seem to get enough, but there’s one problem. You don’t like to bake. That’s actually not a problem. You can just head to a bakery in Westchester, NY, and enjoy all the freshly baked goods you want. Choose wisely when it comes to selecting a bakery, though. You want to pick a bakery in Westchester, NY that has tasty goods and so much more. Some bakeries bake fresh items daily, and others use fresh ingredients. Why not choose a bakery in Westchester, NY, that does both? When you eat baked goods from a bakery that uses fresh local ingredients and bakes the goods daily, you are getting the very best. Nothing tastes better than fresh sweets, so go that route when selecting a bakery in Westchester, NY. Sometimes you want to pick up baked goods and head home, but other times, you want to hang out for a bit. Select a bakery in Westchester, NY that has indoor and outdoor seating, so you can enjoy your sweet treats at the bakery. Be sure to bring some friends with you to the bakery in Westchester, NY, so you can catch up over cupcakes and cookies. That’s so much better than coffee, isn’t it? Do you have dietary restrictions? Then you need to find a bakery in Westchester, NY, that offers gluten-free and vegan options. You can still enjoy the same delicious treats, but the ingredients meet your dietary requirements. You shouldn’t be left out, and you don’t have to when you pick the right bakery in Westchester, NY. 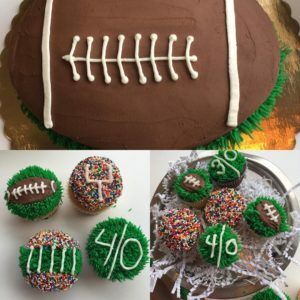 Baked by Susan has all of these features and so much more. We use fresh ingredients, and everything is baked fresh daily. We have indoor and outdoor space available, and we can whip up gluten-free and vegan baked goods upon request. Contact Baked by Susan at (914) 862-0874 to find out more about our Croton-on-Hudson bakery. Then you can place an order, or just stop by and find out what we’re pulling out of the oven.